Amazon has released their Amazon Key service which uses an Amazon produced smart camera, a smart lock from Yale or Kwikset, and the Amazon Cloud to allow delivery drivers to unlock your front door and leave your parcel inside. One of the most significant conveniences of online shopping is the simplicity in having an item delivered straight to your door with minimal effort on your part, especially if it is something which you can’t find easily locally. However, one big downside of couriers is that a significant portion of their deliveries happen during regular work hours, and a lot of people don’t have suitable places to leave packages or aren't home ready to greet deliveries. The fallback option of collecting from the courier depot or a parcel locker location often isn't very convenient either. Amazon wants to allow people to avoid this inconvenience by using their ‘Amazon Key’ service which utilizes their new Cloud Cam and a compatible smart lock which communicate together using the Zigbee wireless protocol. The system works with smart locks from Yale and Kwikset — choosing well-known brands is an essential part of getting people to trust this system — but Amazon builds the camera. This smart camera also integrates with Amazon Alexa and is compatible with voice commands. The system itself is relatively simple. When the courier driver arrives with a parcel that has been pre-defined as an “in-home delivery,” they scan the barcode which then requests access via Amazon Cloud. Amazon Cloud then verifies that it is a valid delivery that is happening as expected, activates a swipe option on the courier’s phone to unlock the door and starts the camera recording to act as a deterrent to anyone thinking of going further than the doorway. Once the door is open, the driver will put the parcel just inside, swipe the switch in the app, and leave the house locked up. The account associated with the service then gets a notification that delivery has happened and a copy of the camera recording. The delivery protocol is for drivers to knock first to check if you’re home, and the customer can select “block access” via the Amazon Key app at any time before delivery to revert to standard courier protocol. On delivery day, customers receive a notification so that they can disable any alarm systems involving the front door. Amazon has plans in place to expand this service to include cleaners from Merry Maids and pet sitters from Rover.com as well as over 1,200 services from Amazon Home Services. Building trust is vital for the Amazon Key service to succeed. Not only do customers have to be comfortable with giving strangers access to their home, but they also need to be comfortable with the idea that the smart camera and lock (if accessed by the wrong people) could potentially track schedules and patterns of when they leave for work, when they get home, when the house is empty for the day, when the house is empty for the holidays and so forth. Amazon is extremely unlikely to try and collect this sort of data, but it has to be acknowledged that the hardware and services associated with this product could add a weakness into your home security. The Amazon Key service is available in 37 cities around the United States, but only for Amazon Prime subscribers. 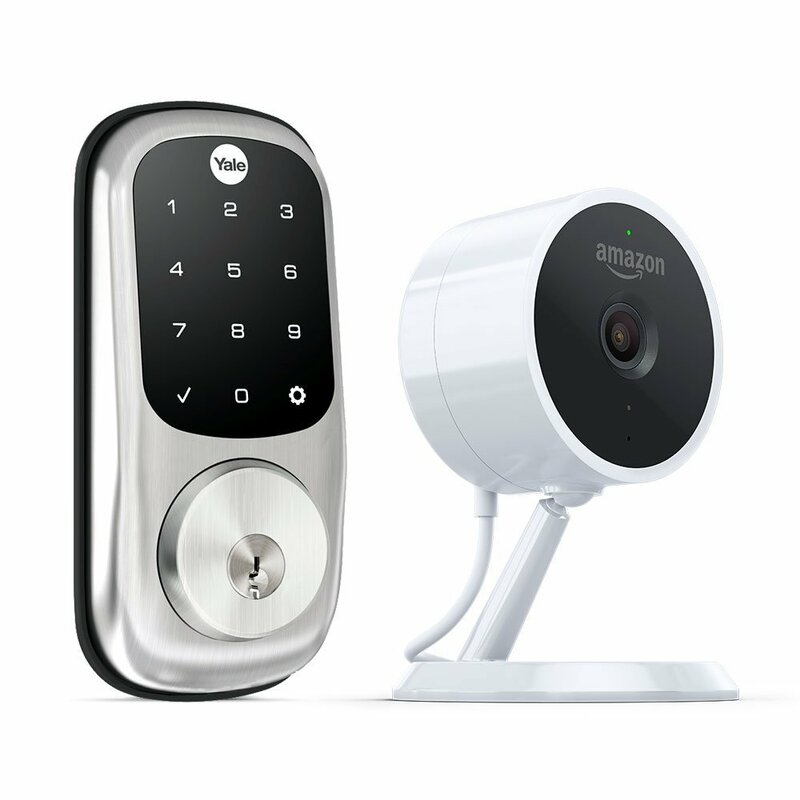 Those interested can buy a starter kit containing the Amazon Cloud Cam (Key Edition) indoor security camera and a compatible smart lock from Kwikset or Yale starting at US$250 including free installation.